by Array Digital on June 13, 2016 . You already know that having a website is one of the most powerful tools for your company’s success. You understand the importance of user-experience, and providing viewers with an easy way to navigate through the website. You know that the site’s visual aesthetics are basically useless if the site cannot be found through search engines like Google, Bing, or Yahoo. What you may not be aware of is that all websites require ongoing maintenance to preserve its operational integrity online. To prolong the life expectancy of your car, home, garden, or Keurig coffee machine, you have to work to keep it in good condition. The same goes for the upkeep on your company website. The purpose of each maintenance plan is to keep your site secure, updated, and performing properly. There isn’t a business out there that is immune to time or change, and neither is your website. 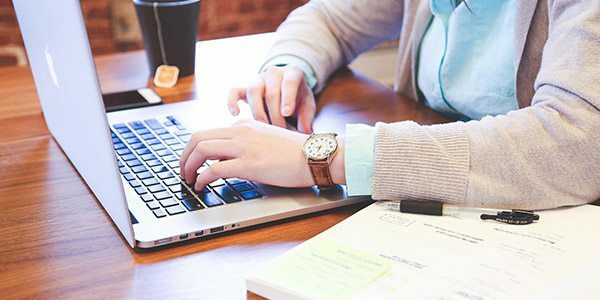 To make sure that the site remains up to speed with your industry and in line with search engine guidelines, a maintenance plan is designed to give your company the most effective online presence possible by keeping your audience updated, informed, and satisfied with their browsing experience. Performing regular maintenance on your website is something you do not want to avoid. Our team has the expertise to sustain the life of your website at an affordable cost. Each package includes priority support, software and plugin updates, site backups, performance management, content tweaks, and graphic design. Continue reading to learn more about our monthly web maintenance procedures. To keep a site running smoothly, we track its analytics, and keep software and plugins up-to-date. To prevent your data from being compromised, we perform the latest security patches, filter out spam, and remove any malware issues. Backing your site up monthly eliminates the possibility of losing changes to the site, and protects it from potential computer catastrophes or unpredictable mistakes. It is easy for hackers to take advantage of websites that do not actively update and back up their content-management systems. Your website is your company’s face to the world. Taking the time to keep your site and blog updated with your company’s latest information – new employees, pricing revisions, industry insight, etc. – reflects the current state of your business and helps it rank better in search. Don’t be caught with outdated information on your website, as it could cause more harm than good for your brand. Make sure that when a visitor returns to your site, they find and learn new information. Generating fresh content improves domain authority, engages with your audience, increases conversion rates, and strengthens your brand’s reputation. In addition to analyzing a site’s performance, user-engagement is another aspect that is regularly monitored. Using Google Analytics, we examine which pages are receiving the most traffic and identify areas that need improvements. Our maintenance team proactively checks your site for content errors and broken links that need fixing. We test each form, evaluate its mobile experience, and make sure that plugins are functioning properly. As content is updated, we track how your audience is engaging with the website. We continuously revise our strategies to optimize your site for search engines, and make it easy for viewers to navigate through.